Other Notes: 20 IBUs. 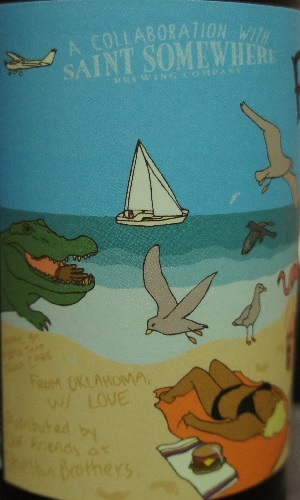 Brewed and bottled by Krebs Brewing Co., Krebs, Oklahoma. 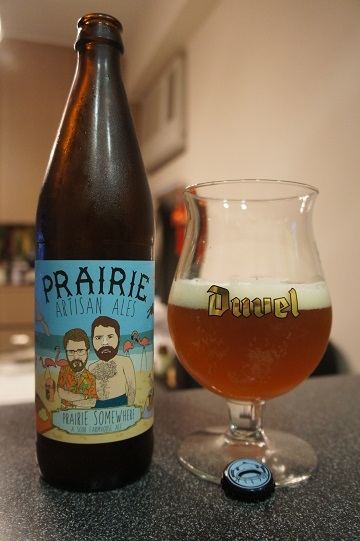 Brewer Description: (from website) Prairie Somewhere is a blend of golden farmhouse ale and a sour ale. Citrus fruit is used in the kettle to add intense orange and lime notes. Intro: A 16.9 fl oz (500ml) bottle with a Julian bottled on date of 10615, meaning it was bottled on 16th April 2015. It was poured into a Duvel tulip glass. Appearance: It poured a cloudy copper dark orange colour with a one finger off white head that dissipates fairly quickly. Not much lacing. Aroma: Tart, funky, barnyard, apple and lime. Taste: Sour tartness, lemon juice, orange and a strong lime finish. 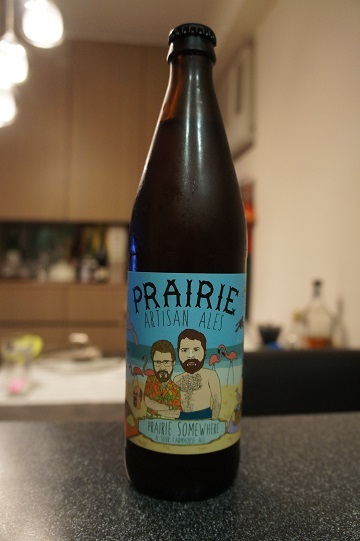 Overall: This sour saison style is right up my alley and Prairie Somewhere ticks all the right boxes for me. Very enjoyable and something that I will be looking to get more of if possible. Love the bottle art as well!